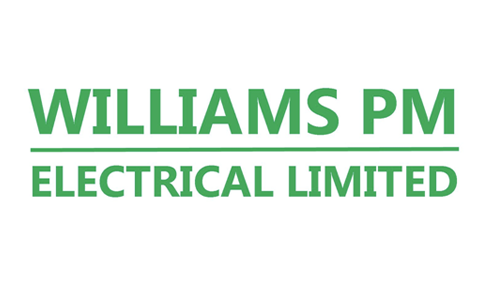 Williams PM Electrical Limited is a mechanical & electrical contractor with its head office in Cardiff and satellite branches in Newport, Swansea and Pembrokeshire. It employs highly skilled electricians experienced in all aspects of domestic and commercial electrical work and its client list consists of local authority councils, housing associations, private companies and new build developers. The main core of business is within the social housing sector covering most regions throughout Wales as well as having a reasonably sized commercial section carrying out projects up to £1.5 million in refurbishment/rebuild and new build projects. By being local to clients, the company is able to provide a good quality, cost effective service for all their electrical maintenance and installation needs. The scope of work includes electrical installation works, planned and reactive maintenance programmes, major refurbishments and installation works, fire alarm and emergency lighting maintenance, and testing and Installation work. The main motivation for the founders in starting the business was to achieve something for themselves. They had spent many years working for other companies, watching their businesses grow and decided to start their own business with their own ideas and be their own boss. They wanted to provide a unique service and be a step above their competitors and having worked in the industry, they had experienced many of the pitfalls that companies face and had their own ideas on how to overcome these issues should they face them in their own business. They didn't plan for the business to grow as quickly as it has but as the business grows, they quickly adapted, set new targets and continued to achieve and exceed them. The major challenge was managing the growth of the company and managing the expectations of clients. As the site team grew, it was essential that the right management structure was put in place to control the main factors such as health and safety, quality and costs. Through recruitment and retention of good quality staff members, the business has gone from strength to strength. It now has a robust, efficient team who continue to address all issues and deliver its work successfully whilst making a healthy profit. The company maintains good working relationships with all of its clients, which assists them in gaining repeat business and keeping a good reputation by word of mouth. It is impossible to narrow it down to a few main factors, but the commitment of the whole team from the directors to the apprentices has been responsible for the rapid and continuous growth of Williams PM. The company is proud to have a highly motivated, directly employed local workforce that continue to provide excellent standards of work and prove to clients that they are the first choice for mechanical & electrical contractors. In these trying times of a deep recession, it is vital that a team is managed to the best of their ability and that each and every member understands that they all have responsibility and commitment to the company, not just the directors and managers. Williams PM’s clients have also played a big part in its success thus far, without them, there wouldn't be a business. The plan is to continue to grow as a business in its current areas of expertise and eventually expand into more areas. The company have recently launched a mechanical section within Williams PM and are slowly securing projects as a Mechanical & Electrical contractor. They feel that clients prefer this as they have one point of contact. They also plan to take on more projects as the main contractor.